No one has said John Wick will be a trilogy. It’s possible Keanu Reeves’ John Wick will return after John Wick: Chapter 3 – Parabellum for John Wick 4 or beyond. 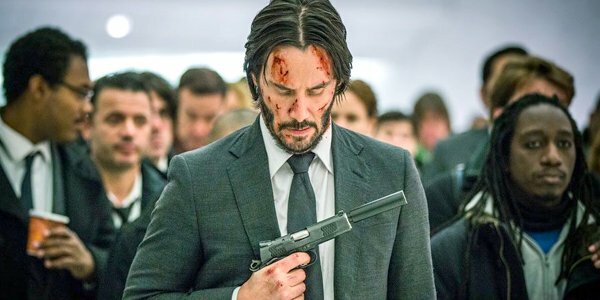 Director Chad Stahelski has said he’d be down to make a fourth John Wick film if the audience wants more. And we already know a TV series is in the works following The Continental hotel. Ian McShane plays Winston, manger of the New York City hotel. He’s currently promoting Hellboy, the Deadwood movie, and John Wick 3. During a game of Would You Rather, McShane was asked whether he’d rather see the Deadwood movie remade in 10 years or John Wick remade in 10 years. John Wick seems darn near invincible, but part of me wondered if John Wick 3 was going to wrap up the story and maybe even kill off the Patron Saint of Puppies. After all, there’s a global contract out for John Wick. Even with Halle Berry’s Sofia and her two dogs in the mix, supposedly on John’s side, it’s going to be tough for John to get out of this jam. But Ian McShane spoke to Collider about John Wick as if Mr. Wick is still around after Parabellum. McShane also hinted to the film preparing for whatever happens next time. That gives me hope that John Wick 3 is just the latest chapter in a story that could continue for a while. Another 10 years? Well, they do say Keanu Reeves is immortal. He hasn’t aged much in the past 10 years, so when he’s 64 I don’t see any reason why he wouldn’t still look and act the same. As Ian McShane noted, John Wick 3 is meant to tell us more about John Wick’s background. Anjelica Huston’s new character is meant to play a role there, and she’s also the Director of The High Table, the council of crime lords. Maybe she’ll be on John’s side too? Based on the trailers, Asia Kate Dillon’s Adjudicator, another member of the High Table, is not exactly on John’s side. And there are plenty of new assassins in the mix, including Mark Dacascos as a John Wick fan called Zero who is now out to kill his idol.